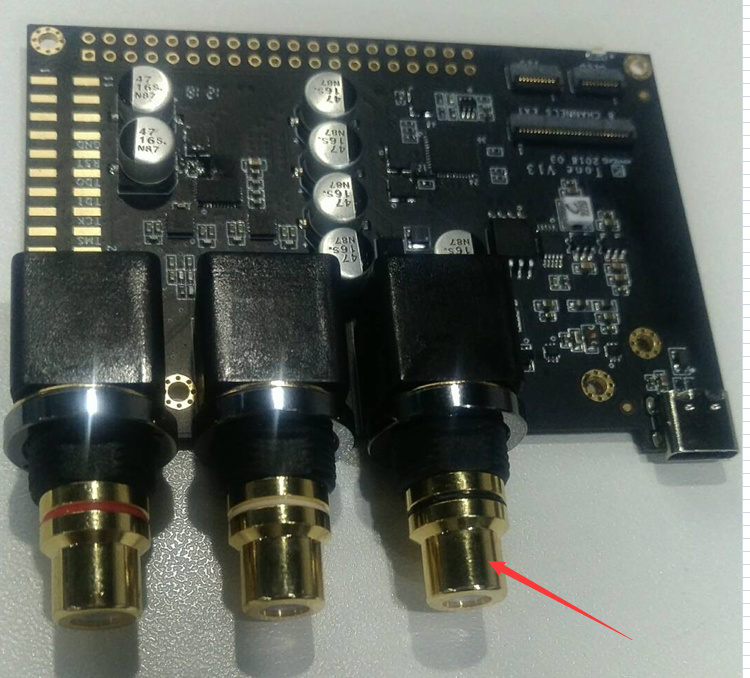 Can I use Tone Board simply as a DAC ? I wish to feed its RCA input with digital signal from a radio Internet / DAB+ tuner and connect its 2 analog outputs to my HiFi amplifier, in which case I simply need to power it through its USB connector and mount it in a box. Correct ? Yes! 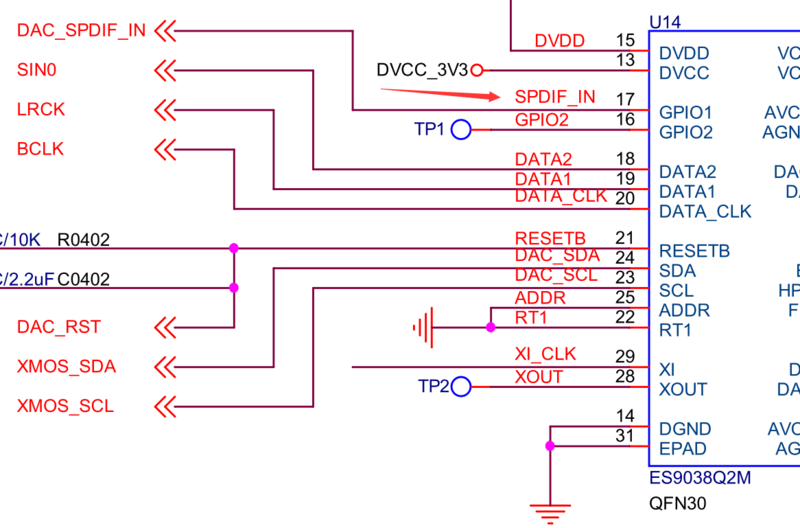 The SPDIF_IN of the Tone-board is fed directly into the ES9038Q2M for decoding. 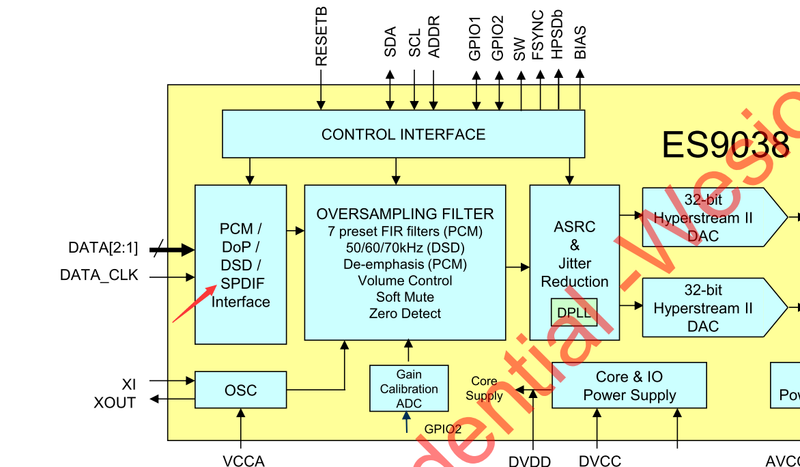 It should work as long as your device has SPDIF_OUT. Thank you. I am confused: SPDIF stands for optical connection, right? I did not realize that TB had an optical connector input. Anyway, my device has both coaxial and optical OUT connectors. Which cable shall I use from the optical connector of my device to the SPDIF_IN of the TB ? Access the SPDIF signal from the pin marked with the red arrow in the picture. spdif can appear on toslink (optical) or coax/BNC (electrical) sockets; we have only coaxial on the TB! Spdif and coaxial both use the same digital transport format, however the interfaces are different. We will feedback to our R & D team and considering to add a SPDIF interface to subsequent Tone Boards versions. Thank you all, now I understand. So I will use the coax OUT of my device and connect it to the so-called SPDIF IN of TB. For that application (DAC only), I understand no setup is needed, making a PC necessary.